Sleep tight wearing this stylish top and pyjamas set brought to you by Clovia. 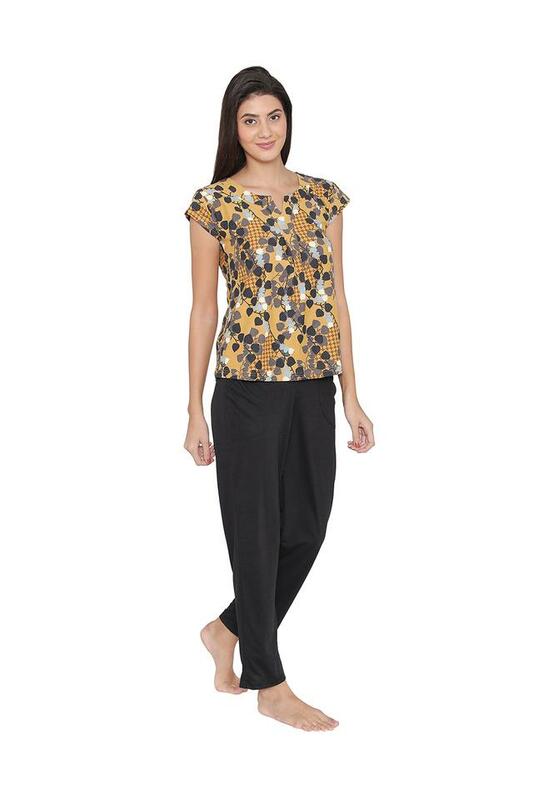 This set contains a printed pattern top and a pair of solid pattern pyjamas which ensures optimum comfort while sleeping. Besides, it has been tailored with poly cotton fabric that will give you utmost comfort. 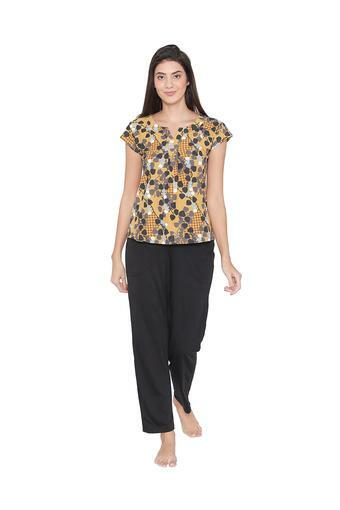 Flaunt chic styling at night and get an exceptional fit with this top and pyjamas set. 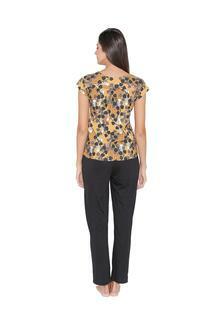 The comfortable style adds to its appeal.